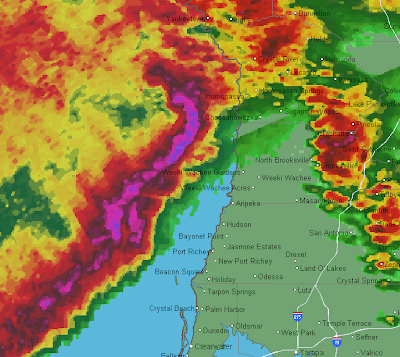 The deep pink and purple radar echo moving out of the Gulf that looks like an archer's bow is the reason the tornado warning is out. These "bow echoes" usually cause strong winds and sometimes cause tornadoes. Those tornadoes are often (but not always) weaker than the tornadoes that occur from "hook" echoes (see below). 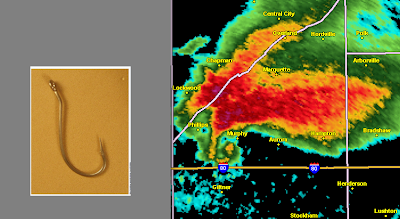 The hook echo gets it name from its resemblance to a fish hook.